Bibliothèque et Archives nationales du Québec (BAnQ) in Montréal possesses several xerographic and digital prints from Philippe Boissonnet. In addition to the artists’ books he has produced collectively, such as 11 Electrographs (1985), Fractures d’images (1994) et Espaces interstitiels (1996), the collection holds an individual album of 16 xerographic transfers, Hypothèses errantes (1996) and an accordion-folded xerographic book, published in six copies entitled Main-chinalement (1984). The BAnQ has also acquired many inkjet digital prints produced after 2005. Digital inkjet prints enhanced with white and colour pencils on Verona paper (Monotypes). 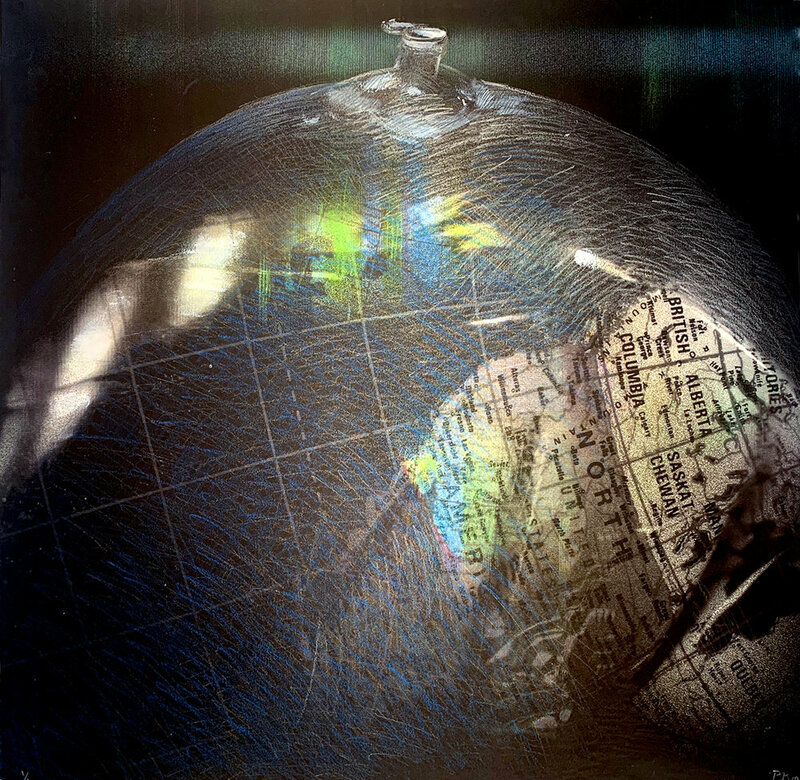 The inflatable globe images used for these prints were previously created on Canon Laser copiers during a research residency at the MIDE (Museo Internacional de Electrografia) in Cuenca in 1992. 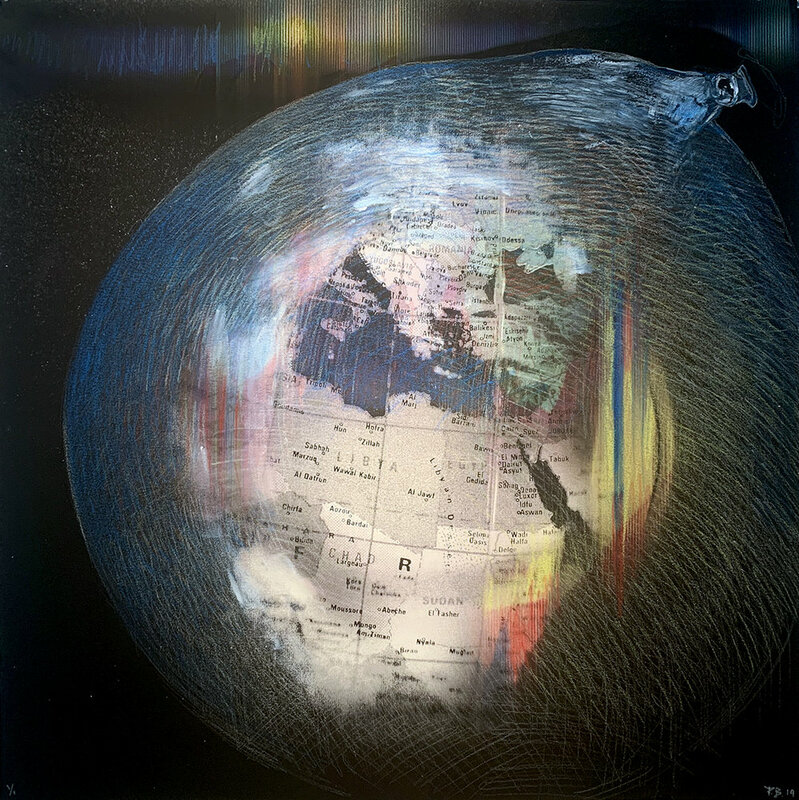 They are part of a larger series that also served to the edition of a stereographic hologram ("Awareness of the limits: Galileo") in 1994. Transfer and colour xerographic prints on Ingres paper. Mounted on St-Armand cotton paper.